As mentioned in my previous post, I really like flossing on trail. My moms and I have had endless discussions about my dental health, and maybe this reminds me of her when I’m in the backcountry. Or maybe the act of keeping my mouth clean allows me to forget that the rest of me is so stinkin’ dirty. Regardless, I try and floss every day, and also use dental floss for gear repairs and sewing on punk rock patches… it’s great to have an adequate amount around. The problem is, like most conventional products, it’s value is defined by excessive packaging making it seem ‘fancy’. Here’s a simple hack that will allow a hiker to carry an almost full roll of floss at 1/2 the weight. 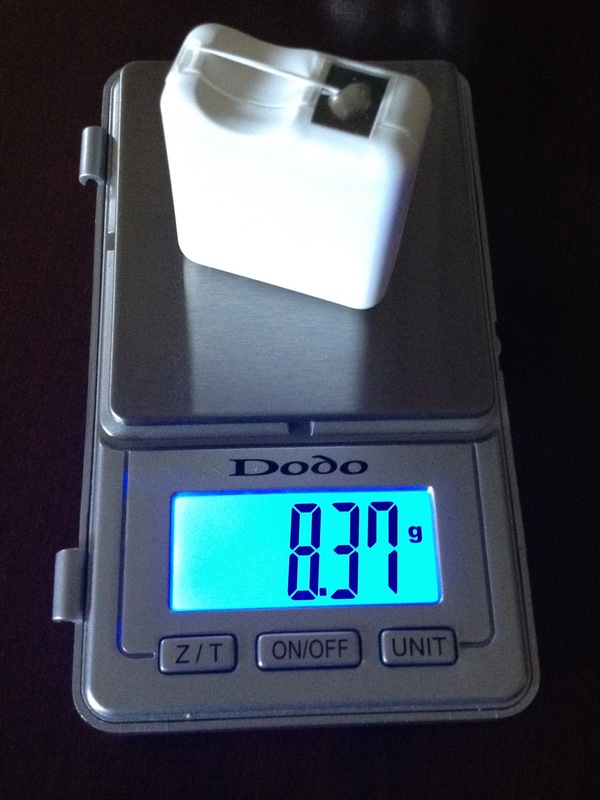 Above left is a conventional, full roll of OralB Glide dental floss, weighing in at 16.5g, on the right is a sample floss (easily obtained from any dentist’s office) weighing in at 5g. Why not just carry the sample? It only contains about 3 meters of floss, or enough for 3 days of regular use or 1/3 of sewing on a Minor Threat patch. The Glide, which contains 20 meters of floss, weights so much mostly because of its packaging. The key is to repackage the Glide in the sample container to reduce the carried weight. Remove the roll from the sample container. There are typically 4 plastic tines securing the small roll of floss in the center. Break off two opposing tines – this is necessary because ultralight, duh! Actually, as you can see from the photo above, the center spindle of the full roll of Glide is much smaller to accommodate the extra floss. Next remove the full roll of Glide (or floss of your choosing, this trick works with any brand – I only use the OralB because this is the one moms gave me. Thanks Lynn!) and remove about 2 meters of floss from the roll. The full size roll is, in fact, slightly too large to fit the sample container, so we need to reduce its diameter slightly. Once you have replaced the sample with the full sized roll, thread the floss around and over the right post, then under and around the left post, leading it thru the dispenser opening. Then close the package and you’re done! This is a super simple, if not slightly neurotic way to save a few grams on trail. Based on the photo below, you’ll notice the new floss system weighs in at 8.4 g, which is 8.1g less than the original full size package. Happy flossing! This entry was posted in gear, hiking and tagged backpacking, dental higene, floss, flossy, gear geeks, gearhacks, gram weenines, thruhiker, ultralight, wrongwaygang on January 3, 2016 by GROUCHO.